BRUSSELS, 10th January 2018 — The Spanish automotive supply industry represented by SERNAUTO, in close coordination with CLEPA, the European Association of Automotive Suppliers, presented today in Brussels the various technology solutions manufactured in the country in the pursuit of CO2 emissions reduction, contributing to the decarbonisation of road transport in the EU. During a breakfast debate for policy makers hosted by Pilar Ayuso MEP, several representatives from Spanish and Spanish-based companies including Bosch, CIE Automotive, Gestamp, Grupo Antolin and Valeo took the floor to introduce a variety of options such as thermal management, engine efficiency and weight reduction of components and structures as well as the harnessing of material and energy resources, stressing the need to take all technology options into account in upcoming CO2 legislation for cars and vans. The European Parliament and Council of Member States are about to start the first reading of a new legislative proposal to reduce car emissions in the 2020-2030 timeframe. The legislation will have a large impact on the European automotive industry. CLEPA considers the new car CO2 proposal highly demanding and stresses that focus should turn to how the targets should be met, mitigating disruption to economy and society. Electrification, hybrid technology, alternative and synthetic fuels, eco-innovations and other solutions to increase energy efficiency all have a role to play, in an integrated policy approach encompassing market incentives, energy mix and infrastructure investments as well. SERNAUTO and CLEPA members offer mobility solutions that build on their long-standing industrial strength to realise ambitious environmental and safety-related objectives, counting multinationals as well as thousands of SMEs in its membership. Up to 75% of the value of an average vehicle comes from its components and parts. Automotive suppliers invest more than half of all automotive R&D in the EU (over EUR 22 billion per year). They are a key asset for Europe’s economy and wealth creation. Specifically, Spanish Automotive Suppliers contributes significantly to the Spanish economy due to its size, creation of value, interaction with other sectors and exports. It is a strategic sector with revenues of more than 34 billion euros in 2016 and totalling 343,500 direct and indirect jobs. It’s a sector intensely committed to R&D and innovation, with an investment of 4% of its turnover, due to its strong technological base. CLEPA is the European Association of Automotive Suppliers. Over 120 of the world’s most prominent suppliers for car parts, systems and modules and 23 National trade associations and European sector associations are members of CLEPA, representing more than 3 thousand companies, employing more than 5 million people and covering all products and services within the automotive supply chain. Based in Brussels, Belgium, CLEPA is recognised as the natural discussion partner by the European Institutions, United Nations and fellow associations (ACEA, JAMA, MEMA, etc.). 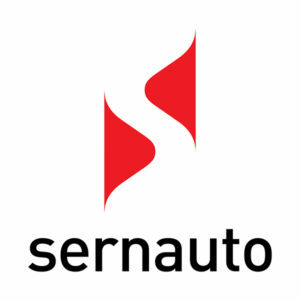 SERNAUTO is the Spanish Association of Automotive Suppliers. Founded in 1967, it brings together over 85% of the sectorial turnover through its affiliated member companies. It represents an industry consisting of more than 1,000 companies that provide components to the 17 vehicle manufacturing plants located in Spain. The sector is third in terms of number of exports, directly exporting 60% of production and reaching 82% if the components installed on exported vehicles are taken into account. It is a strategic sector in Spain with revenues of more than 34 billion euros in 2016 and totalling 343,500 direct and indirect jobs. SERNAUTO is the organization recognized by the Spanish Directorate General for Trade and Investment (MINECO) as the association officially representing the sector in Spain.